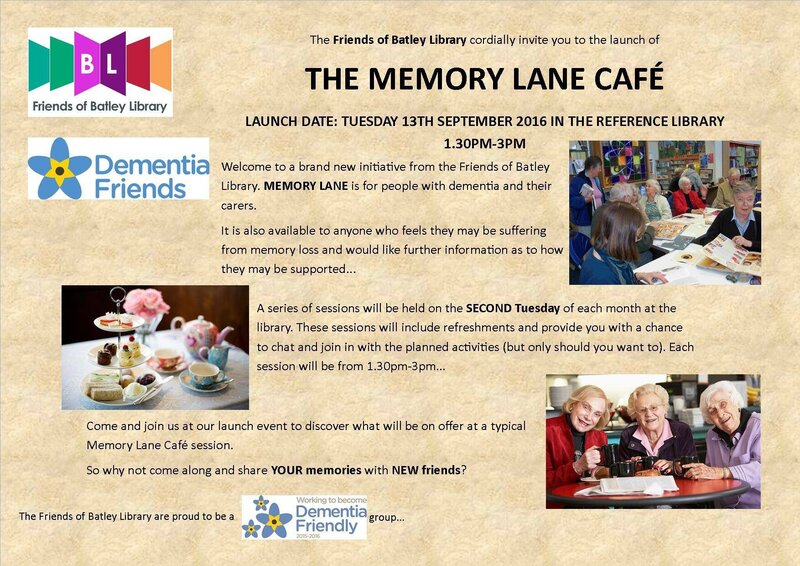 On Tuesday 13th September we will be holding our very first Memory Lane café, a session aimed at providing support to dementia sufferers and their carers, as well as anyone who feels that they may be suffering from memory loss and would like some information on the kind of support they could receive. 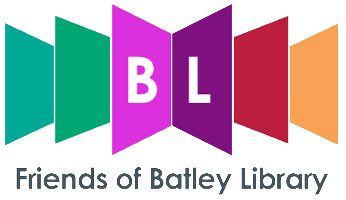 The sessions will run on the second Tuesday of every month from 1:30pm to 3:30pm at Batley Library and will include a range of refreshments and planned activities. Our launch event on the 13th will be an introduction to the group and is designed to give you a taste of the kind of activities we have planned over the coming months. 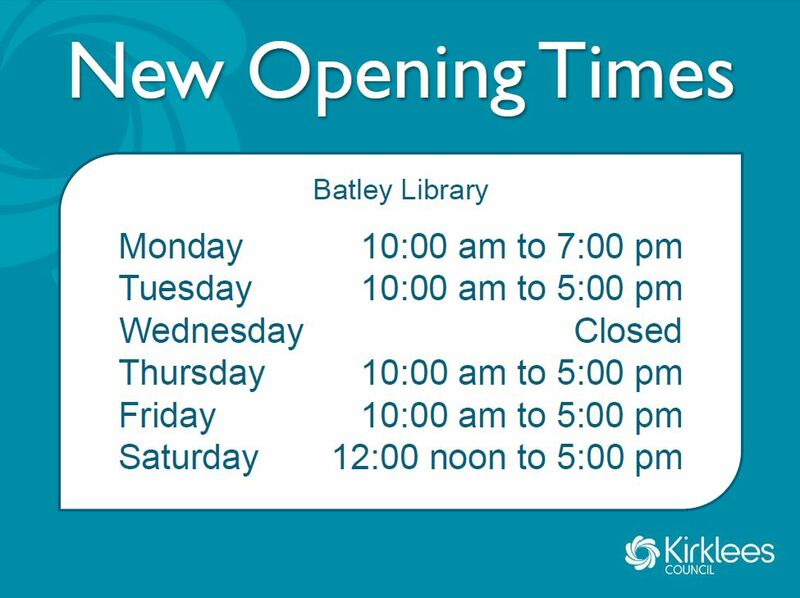 As of the 5th September 2016, Batley Library will have some new opening times.